A-HOTEL.com - Luxury and cheap accommodation in Volodarskiy, Russia. 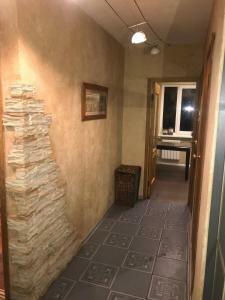 Prices and hotel, apartment booking in Volodarskiy and surrounding. Set in Krasnoselsky district of Saint Petersburg, 15 km from Peterhof, B&D Camping features a barbecue, a sports playground and a heated outdoor swimming pool. Badminton rackets, balls for volleyball and football also offered free of charge. Offering a Russian banya, Hotel Mesto Sily is located in Saint Petersburg, 12 km from Petergof. Secured parking is available on site and free WiFi is provided in common areas. Featuring free WiFi, Guest House Volodarski is situated in Volodarskaya. Boasting a 24-hour front desk, this property also provides guests with a sun terrace. Offering a barbecue and views of the garden, Ego Apart Mini Villa is located in Volodarsky village. Pushkin is 21 km away. Located just 25 km from Mariinsky Theatre, Summer House offers accommodation in Saint Petersburg with access to a garden, a terrace, as well as a shared kitchen. This property offers access to a balcony. Set in Novosel'ye in the Leningrad region, Дом в Горелово с баней у пруда features a garden. The accommodation is 27 km from Saint Petersburg. In ‘Yan in Saint Petersburg features accommodation with free WiFi, 17 km from Mariinsky Theatre, 17 km from St. Nicholas Naval Cathedral and 19 km from Saint Isaac's Cathedral. Offering garden views, Apartment Solnechny Gorod is an accommodation located in Saint Petersburg, 17 km from Mariinsky Theatre and 17 km from St. Nicholas Naval Cathedral. Located in Saint Petersburg, LIGA hostel Veteranov features free WiFi. 17 km from Mariinsky Theatre, the property is also 17 km away from St.
Usad'ba Strelingof is offering accommodation in Strelna. Offering a restaurant, the property also has a bar. Located within 16 km of Mariinsky Theatre in Saint Petersburg, Apartment on Garkavogo 38 provides accommodation with a kitchenette. A fridge and kettle are also offered. Located in Saint Petersburg, Garkavy apartment features accommodation with a balcony and free WiFi. The property is 16 km from Mariinsky Theatre. Apartment-Budget is an accommodation set in Saint Petersburg, 16 km from Mariinsky Theatre and 16 km from St. Nicholas Naval Cathedral. Hotel on Frontovaya 10 is a 2-star property set in Strelna. This 2-star hotel offers a 24-hour front desk and a shared kitchen. Apartment Vesta on Veteranov offers accommodation in Saint Petersburg, 16 km from Mariinsky Theatre and 16 km from St. Nicholas Naval Cathedral. Guest House V Gorelovo 2 offers rooms in Gorelovo. Among the various facilities are barbecue facilities and a garden. This hotel is located in Strelna, a 30-minute drive of Saint Petersburg. The property offers free shuttle to and from the airport and a 24-hour reception. Hotel Komsomolskaya is situated in Saint Petersburg, 15 km from Mariinsky Theatre and 15 km from St. Nicholas Naval Cathedral. Studio on Petergofskoye Shosse is situated in Saint Petersburg, 15 km from Mariinsky Theatre and 15 km from St. Nicholas Naval Cathedral, in an area where fishing can be enjoyed.